As the seasons start to change from the warmer months of summer to the cooler months of Fall and Winter you may notice that your energy bill after dipping for a brief month or two is now increasing again. While some of the increase is due to the fact that it is colder and therefore your heater is now being cycled on every time the thermostat gets below a certain temperature, some of the increase in your heating bill can be as a result of inefficiencies in your heating system and in inefficiencies with your house. By addressing the sources of the inefficiencies in your home and heating system, you can ensure your home stays warmer and save some money at the same time from a lower energy bill. The furnace used to heat your home is a large consumer of energy. If you have an old, worn down, poorly maintained furnace then on cold days it will have a hard time putting out enough heat to warm your home. Proper maintenance including regular service calls/tune-ups and regular filter changes can help your furnace run more efficiently which results in saving on your energy bill since the furnace does not have to work as hard. 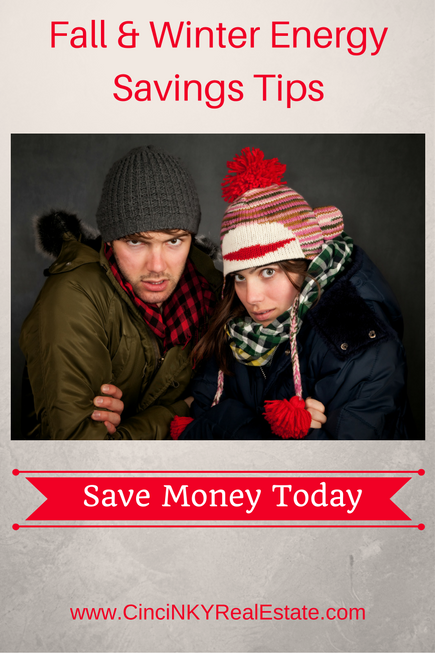 If you are able to, upgrading to a new furnace can result in great cost savings on your energy bill. New furnace systems whether they be hybrid electric and gas, all gas, hybrid heat pump or some other system are designed to produce the most amount of heat with the least amount of energy as possible. While the cost to install a new furnace is not cheap if your current furnace is greater than 15-20 years old and you plan on keeping your home for the foreseeable future, investing in a new furnace makes sense and you will realize cost savings on your energy bill throughout your time in your home with a new furnace. You may also wish to consider having the ducts of your home’s ventilation system cleaned. After years of use the ductwork and cold air returns in many central heating and cooling systems become obstructed with dust, debris, and cobwebs. Obstructed ducts and cold air returns result in less air being pumped throughout the home which means the furnace has to work longer and harder in order to push the warm air around your house. Make sure you fully research the companies who provide duct cleaning as cheaper does not always mean better. You want a duct cleaning company who will fully clean all ducts and cold air returns and use heavy duty vacuums that are attached at a central point by the furnace. Some companies only clean a few feet in each duct with a basic cleaning hose and don’t try to go further than is necessary to ensure that all your ducts have been thoroughly cleaned. Depending on the size of your home and how much of it you are using it at one given time you may want to look into setting up separate heating zones. What this means is parts of your home are heated differently based on adjusting dampers in your ducts or by adjusting the vent registers in each room. If you are upgrading your furnace you should ask the installers about electronically controlled dampers than can be adjusted based on a smart or programmable thermostat. That way if you spend most nights upstairs in in your two story home you can divert more of the heat flow to the second floor and reverse that for during the day when you are on the first floor. This type of system requires some planning and consideration as to all the home occupants, the layout of the home, and where time is spent in the home. For those with larger homes multiple zoned HVAC systems are considered as part of the design and building to the extent different parts of the home will have separate and distinct heating systems. In those types of homes there will be two or more furnaces to separately heat different parts of the home. While the upfront cost of these systems may be higher, with the proper use of networked thermostats these separate systems can save money on energy bills by heating parts of the home where people generally are. If the separate systems are not coordinated properly in terms of temperature and time wise then any energy savings will not be realized with this type of setup. Programmable and/or smart thermostats are a great way to save energy and make sure your home’s temperature is set to what you want it and when you want it. Use your programmable thermostat to lower the temperature when you are away at work or in bed bundled up under the covers. Have your programmable thermostat adjust the temperature upwards so your home is comfortable by the time you get home from work or by the time you wake up. By reducing the temperature when no one is around in your home you save money on your energy bill. Smart thermostats take it even a few steps further than programmable thermostats in that they can automatically adjust the temperature downward when no one is at home. You can also control many smart thermostats remotely with your smart phone so that way if you happen to leave at a different time but forget to adjust the temperature downward, it can be easily set to vacation or away mode from the palm of your hand. Smart thermostats can network with many other smart appliances as well leading to new ways of saving energy while you are away from home. Imagine your smart thermostat being able to tell smart window shade controllers to close when it is dark but open when sunny to get extra heat from the sun. The insulation that is in your attic and in your walls is what keeps the cold air out during the fall and winter months. Thin, poor quality or old insulation in your attic means heat is lost through the ceiling of your home resulting in wasted energy. Have a qualified insulation installer look at the condition of your attic insulation to see if replacing the insulation or supplementing the insulation can help you prevent excess heat loss from happening. 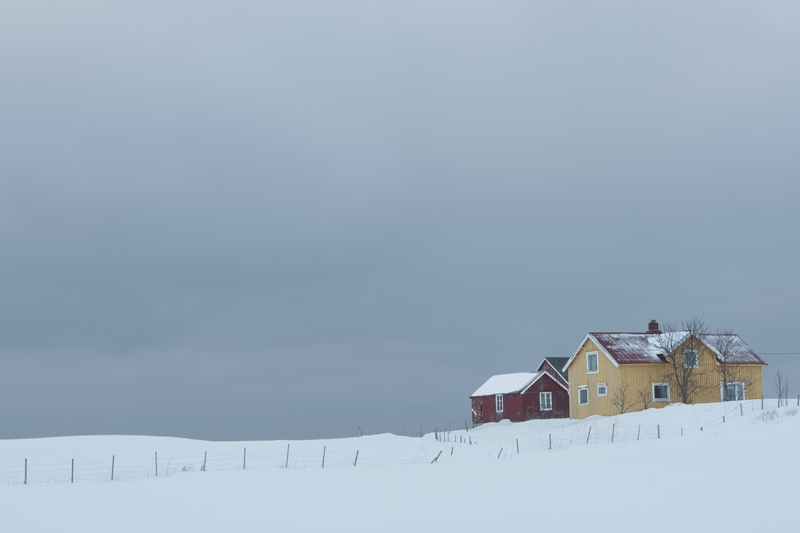 Depending on the age of your home and the type of construction the insulation used within the walls of your home may not be good enough at keeping the cold out and the heat in your home. 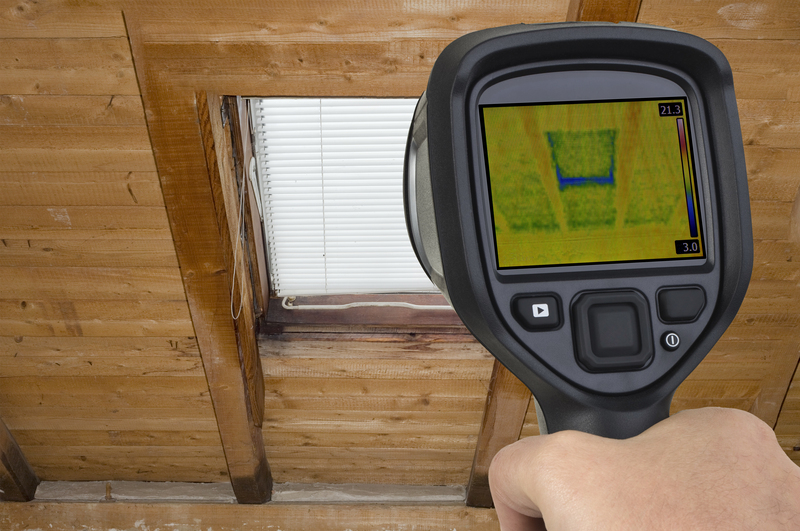 In order to determine if additional insulation will benefit your home you may wish to consider a Home Energy Audit. In a home energy audit a home energy use specialist will come out and evaluate various aspects of your home for energy efficiency. They should have the equipment to check for heat loss from wall, windows, ceiling and more. By having a home energy audit conducted you will be able to know if extra insulation will benefit you. Oftentimes your local power company will conduct basic home energy audits at no cost and will give you a report and suggestions on how you can improve your home’s energy efficiency. The long term money you will save from less heat loss not only means more money in your pocket it also means a more comfortable home during the cold months of the year. Drafty entry doors and windows are another big culprit of heat loss in homes. Whether your windows or doors suffer from old or degraded weather stripping or they don’t close fully due to natural settling of your home, by correcting the leaks you can save yourself money on your energy bill. Start by checking doors and windows for cool drafts on breezy days where you can feel the cold air leaking into your home in and around the edges. Depending on the types of windows or doors you have, you can purchase weather stripping from your local hardware store and install it yourself to help keep the cold air out. In the situation where weather stripping replacement will not cut it you can look into completely covering windows with plastic to keep the cold air out or contact a carpenter to evaluate making repairs to close up any gaps. If your windows are older single pane windows then you may want to consider buying new windows for your home. Newer double and triple pane windows provide much more energy efficiency by preventing the warm air from your home escaping outside as compared to single pane windows. Check for local and federal tax credits when it comes to installing new windows. Sometimes your local energy company will also offer rebates and other incentives for installing more energy efficient appliances and features in your home like windows, doors, insulation and more so be sure to ask them if they have any programs that may be used to help pay for your upgrades. Depending on the age of your home and your furnace you may be able to realize great savings by getting a full overview of where your greatest energy losses are and making upgrades to those areas. Not only will energy efficient upgrades help you save money in the long run they will also increase the comfort for you in your home by having fewer drafty windows or cold rooms that you don’t have to now avoid. You should explore local government, local power company, and federal government tax incentives, rebates and other savings plans to help reduce the cost saving energy in your home. About the author: The above article “Fall & Winter Energy Saving Tips” was provided by Paul Sian. Paul can be reached at paul@CinciNKYRealEstate.com or by phone at 513-560-8002. If you’re thinking of selling or buying your investment or commercial business property I would love to share my marketing knowledge and expertise to help you. Contact me today!